​I use to hate networking until I discovered how to naturally and easily connect with others. Now I enjoy networking and know how to make it fruitful. ​I even authored a book on the subject. 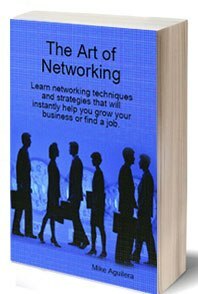 The Art of Networking...which is one of the bonuses! Module Six: ​Discover how to have people and potential clients brought to you. Imagine being positioned and treated like a celebrity at an event. Click on the BUY BUTTON now for instant access.